It has been disappointing to read the negative reaction to this year's Christmas Late Night. From what I saw there were plenty of people enjoying themselves, so I trust and hope that those who felt disappointed by the evening's offerings are in the vocal minority. 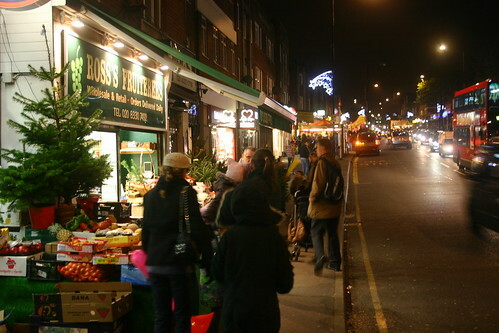 The evening did succeed, at least, in bringing larger crowds into Worcester Park - the rides and stalls were, after all, merely a sideshow to the 'main event' which was to encourage more people to shop locally and support their local traders in these troubled economic times. Yet whilst such events can bring the people to Worcester Park, I am left wondering if our local traders have been doing enough to help themselves. Worcester Park is, of course, no Oxford Street. Nor is it even on a par with other larger local shopping towns, but that is no reason why our local traders cannot grab a small slice of the festive spending boom. Whatever you may have thought of the rides and stalls last Friday night, did the local traders make any impact on you? If they were doing anything to drum up some business it certainly passed me by. Perhaps there were exceptions, but from what I observed the local traders failed spectacularly to take advantage of the crowds and the attention to promote themselves and bring in some more trade. Ironically in these commercial times, it was the charity shops who did the best - with tables outside their shops or raffles/promotions inside they tapped into the sense of occasion. From our local traders, however, there was nothing and instead of being at the heart of the event they reduced themselves to being a mere backdrop to everything else that was going on. With a captive audience, a little creativity and imagination would have paid dividends, but where were the incentives for us to shop locally? Where were the 'struggling' local restaurateurs drumming up some much-needed extra trade? Those who have criticised last Friday's event are entitled to their valid opinions. If the event is to succeed in future, however, it needs to be the product of more than one person's hard work. To succeed and meet its real purpose it needs the traders of Worcester Park to buy into it - to engage with the evening and do more than simply adjust their opening hours, to seize the opportunity and do a little more to help themselves.